When you manage a waste or recycling company, you might not be aware that the routes your drivers take can mean the difference between making a profit or a loss. Using fleet management GPS tracking, you can equip your drivers with the best available maps and efficient driving routes to help your team thrive. In addition, you will be able to monitor your assets to prevent unproductive driving and asset theft. In order to be truly successful and profitable in the waste and recycling business, the first thing you must do is provide your drivers with the proper tools to seamlessly handle service calls. The second thing you need is to be able to proactively and effectively manage your drivers and fleet. Routes must be planned efficiently so drivers are not wasting time or gas getting from point-to-point. The third thing you need to do is to secure your fleet so it does not get tampered with or stolen. Each of these items can drastically affect your company’s bottom line. The good news is GoFleet’s fleet management tracking system can take care of all three areas, allowing you to become more successful. In the waste and recycling industry, you have a job to get done regardless of surrounding environmental conditions or extreme weather. That is why GoFleet’s real-time GPS devices are durably built with a sturdy weather and water resistant exterior. 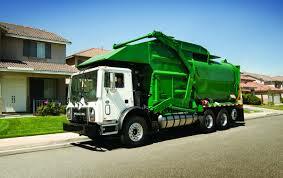 A fleet management GPS tracking system can be easy installed in your fleet of waste and recycling trucks. When you implement fleet management GPS tracking, you will be able to manage your drivers and your fleet from any location. If drivers go out of the authorized area, excessively idle or speed, your fleet manager will be notified by SMS text message or email. This allows you the opportunity to contact the driver to correct the issue immediately. Fleet management GPS tracking also provides many valuable reports, such as hours-of-use, at a touch of a button.